Despite a very considerable effort and sleepless nights by the event organisers, which has included talks with a number of mainline operators and locomotive owners, we have to concede that ‘Black 5’ 44871 will not arrive in time for the start of our Winter Steam Gala. We are very disappointed by this outcome, but hope that you will still join us to welcome back Taff Vale Railway 0-6-2T, no. 85 back into traffic (seen below last weekend when on a test run with 43924), as well as enjoy double-headed trains, demonstration freight services and the rest of the operational home fleet. However, thanks to our never say die attitude, we are still working hard to bring the locomotive to the Railway and hope that it can arrive in time for Saturday & Sunday services.. Please be rest assured that we our doing our very best to put on a great event, albeit a very different one to what we had planned. Updates will be posted on the website (www.kwvr.co.uk), as well as via Twitter (@worthvalley) and our Facebook page. 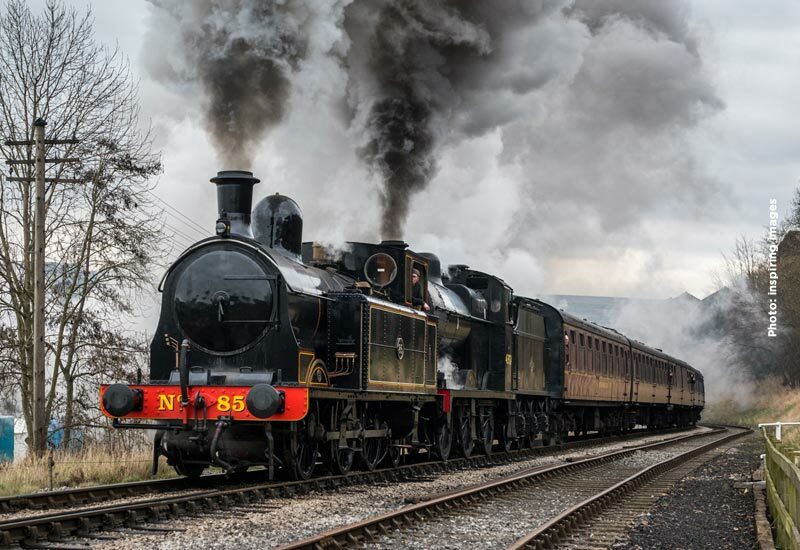 For all the latest information and working timetables (which are subject to change) visit the Winter Steam Gala webpage.